Applications to grant European Protected Geographical Indicator (PGI) status to North Ronaldsay Wool and North Ronaldsay Mutton were launched this week in Kirkwall. If successful, the wool and mutton, which are native to the island of North Ronaldsay, will join a growing list of popular iconic Scottish products with European protected status, including Orkney Island Cheddar, Scotch Beef, Arbroath Smokies, and Traditional Ayrshire Dunlop Cheddar. “Scotland is world-famous for our wonderful produce, and people want to know they are buying the real deal. Achieving PGI status for both North Ronaldsay Wool and Mutton will ensure that consumers at home and abroad have a one hundred per cent guarantee of the product’s authenticity. 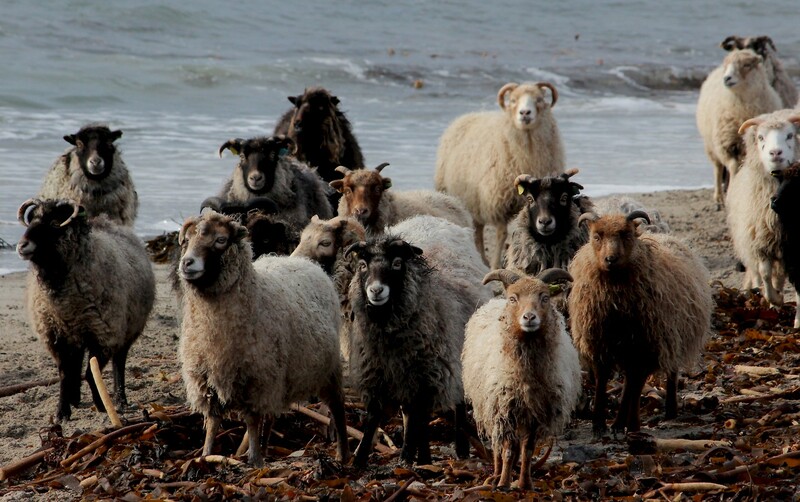 Native North Ronaldsay wool and mutton must come from pure bred North Ronaldsay native breed sheep, reared on the island. The sheep live on the foreshore of the island, and are clipped between June and August which is done by hand clipping, rooing or mechanical shearing. North Ronaldsay mutton is held in the same regard as Italian prosciutto ham, truffles and caviar, thanks to its lean meat and unique gamey flavour.